Millions of people consult the site so the answers can potentially drive massive traffic to a place on the web, such as a blog. This guide helps you to know about the fascinating Quora traffic tactics that work, and in fact, I got 9.66k views for my answers and getting over 40% of traffic from those views to the brands I put a link in my answers. How to Benefit from Quora traffic? It is not only researchers that benefit from Quora; individuals can use it to showcase their expertise and promote their blogs, as well. Looking for the means to boost your traffic? Build a name as an expert on this site. 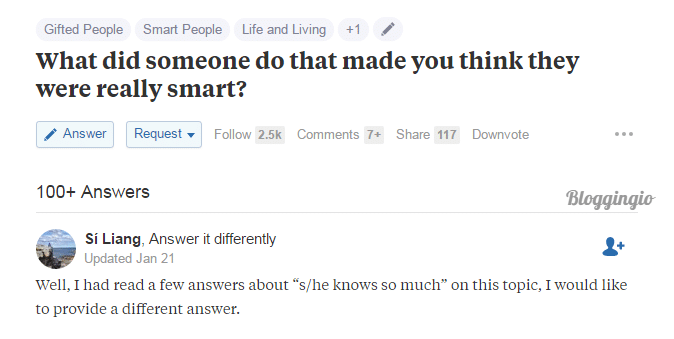 Quora recognizes users who excel in answering. There are sections where they list the most-viewed writers. Top authors, or those who contribute a lot to topics, are mentioned in a different section. This can help bloggers establish a reputation as authorities and resource persons. The best thing about Quora, aside from being highly visible in search results, is that it provides long-term traffic. Posters say that the answers they have posted months and years ago continue to bring traffic to their site. Thus, teaming up with a major site can make your blog shine for a long time. Being one of the top posters in Quora may also catch the attention of major publications. They can feature you and your posts in their article. This can likewise increase traffic significantly because your presence will be extended far beyond Quora’s reach. Not everyone can benefit from working in Quora, though. It is recommended for bloggers who are already experts in a particular field, or those who are willing to do their homework so they can answer the question like pros. It is suitable for promoting websites that offer information products because Quora is an educational site as well. Participating in Quora requires you to create an account. You can also use your e-mail, Google or Facebook account to sign up. When you’ve created an account, you will be asked to accomplish a profile –more specifically, a profile bio and a profile summary. Many users do not give enough details for these. However, if you intend to use Quora to gain traffic, to your blog/s, you must have a profile that will encourage people to follow you and click on the links you posted. Your profile bio is a short section of text that appears beside your name. It appears wherever your profile shows up. Put the link to your blog in your bio so those who read your posts can check your blog as well. Your profile summary can accommodate additional info about yourself. Here, you can place lists, quotes, and clickable links. Mention your blogs and websites here. Give your background and credentials. Tell an engaging story about yourself and your experiences, and give links to other publications you have made. Your profile should serve as proof that you know what you are saying. Leave a memorable impression – what makes you different from most people? What can you do that other can’t? Capture their attention, so they will remember you and read the other things you have written. Quora lets you add topics to your profile – you can create different kinds of bios for each one. Customize each bio, so it becomes relevant to the particular topic you are answering. After all, if you answered an inquiry about removing computer viruses, but your bio says that you are a vet, they will not take your response seriously. All your bios will appear on your main profile. This would be a good thing especially if you listed a lot of specialties. The more topics you can write about, the more often your profile and links will be viewed. Again, you must post links to your blog in your bios so you can redirect people to it. Again, you must post links to your blog in your bios so you can redirect people to it. You may answer as many questions as you can but to save your effort, it’s best to concentrate on those that are gathering a lot of attention. To do this, type a keyword in the search bar. Quora will list discussions and arrange them according to popularity. Good threads to be in are those that have received a lot of responses and upvotes. This activity means that many have their eyes on the discussion and they will likely see your post if you joined in. Find discussions that are relevant to your niche and pitch in. You can also give your thoughts on other niches but if you don’t know much about the topic, research well before answering. You must also find a way to connect your blog to the topic. Visit threads with numerous followers in your niche. They are the best audience to give your thoughts to. Those who are already interested in your niche will be easier to convince to follow your blog. There are those who suggest that you should answer briefly but thoroughly. After all, people most likely don’t have time to read long lines, so they will hone to a short answer. However, there are those who are looking for the longest answers to gain the most information. Try answering similar topics with long and short responses to please both groups. However, there are those who are looking for the longest answers to gain the most information. Try explaining similar topics with long and short responses to please both groups. You will discover that many questions are similar to each other. Do not be tempted to paste the same material to answer all of them. Those who are looking for answers may consider these as spam and lose their interest in you. Likewise, do not copy others’ answers. You can imitate them but phrase them in your own way. Make your answer more informative than the rest. This can earn upvotes. Although you can gain more views if you answer as many threads as you can, it’s practical to stay away from those that others have already answered comprehensively. Instead, look for those with lots of activity but not enough useful input. Find threads where you can stand out. You shouldn't miss our guide on generating millions of traffic from Google and its products. When people use a search engine to look for the keyword, they will see the Quora article. Upon reaching that article, they will see the links you have given and they can click on them as well. Because of this, you must do a bit of keyword research to know what gets searched often, and use those words in answering Quora questions. Here comes a Quoran, using Quora to rank his keywords. Though such links won't help you to get a great ranking boost, still they help you get some improvements. You can post a blog on Quora – this makes you more appealing to those who are gathering information from the site. Do not let your Quora blog replace your main one, however. Give teasers on your blog and encourage them to read the rest on your own site. Pictures attract attention. Some browse Quora and stop at responses that contain images. Make the image contain useful information that includes a link to your blog so that if it gets shared, your blog will be promoted too. Here come my FastComet suggestions thread on Quora which are filled up with images and screenshots will help better understanding of our answers thus naturally receiving traffic to the blogs. Follow them, so you’ll have ideas on how to answer questions well. Knowing where they spend time in will also give you a hint about where it’s worth posting. Well-known experts will also stir a lot of activity in a thread. Distributing links to your Quora profile and posts can gather additional traffic. Post these on your social media accounts, in online discussion groups, etc. 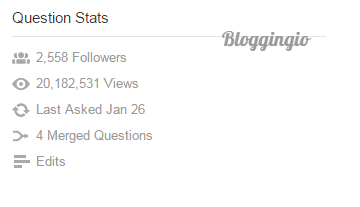 Your followers on your blog and social media will more likely follow your Quora profile and give you upvotes. After publishing your posts, Quora gives you an option to share your blog post on Facebook and Twitter. Although your primary purpose may be to gain traffic from Quora, you can also do this when you post your Quora profile on your blog. Your blog followers or those who stumble upon your blog can add traffic by checking your profile, stalking your posts, and clicking on a particular article on your blog that they may not have seen yet. Quora is a surprisingly powerful magnet for traffic, and many bloggers have used it to their advantage. However, just like regular blogging, you must provide value for your readers to gain a following. Keep learning so you can share what you know and gain traffic in exchange. You have written a helpful post for the bloggers to drive visitors from Quora. I know that you’re active over there but unaware that you’re utilizing the platform the most. It is really appreciable, thanks for sharing your experience. 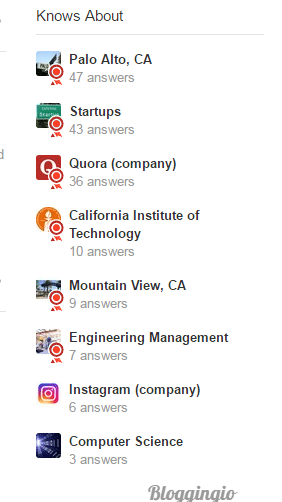 I’m also present in Quora but didn’t try to get traffic. I have just used it for link building (1-2 links) and use to share my friend’s ThemeForest theme details to the relevant queries. Thanks again for your helpful guide, I’ll implement the strategies that you have explained here. Have a good day! Thanks for the comment, Nirmala. You need to utilise Quora for quality traffic. Great article, Imran. While I will always struggle to survive the introduction of a BBT article, this one was worth it. Quora is an undervalued platform––one of my colleagues told me that Quora users have a reputation for being particularly insightful and discerning. You presented some out-of-the-box ideas that I’ll try. Thanks. Great creativity with content creation and distribution – can find a story and tailor it for a variety of audiences. Stays ahead of the technology curve. I am new to Quora and using it for our families business. These tips will definitely be a great starting point to get more traffic to our website. Thanks! quora generate 4x traffic? is it real? cant believable ! !